When you buy mini spectrometer, you need to know it works on the basic principle of light refraction. They measure the light intensity on each of the wavelengths and it is later used to display the spectral distribution. The spectral distribution is attributed to each of the sources of light and it can vary depending on the wavelengths. With this, one can easily determine the common characteristics of the source of light such as its color and the color rendering qualities. Light first gets into the lens which is regarded as the optical configuration where it travels through a slit into the spectrometer. Through the slit, the amount of light getting into the spectrometer can be adjusted. You need to know the amount of light will influence the resolution of the spectrometer. A concave mirror which is the first mirror will reflect the light to form a beam directed to the grating where the light will be dispersed. The light will reflect on the grating and it will be transferred to different wavelengths. Many beams will be created as the wavelengths are reflected at a variety of angles. The separated wavelengths will then be directed to the second mirror. The optical bench of the spectrometer is designed in such a way that there are some specific wavelengths that will be focused on specific pixels found on the sensor. As a way of making sure that it is working correctly, wavelengths can be calibrated and different pixels will be assigned to the specific wavelengths. When a signal is picked by a certain pixel, they will be linked easily to a certain wavelength. The second step involves making sure that each of the pixels obtained will respond with the true intensity of a particular wavelength. To achieve this, the right proportions for each of the pixels must be obtained. This can be accomplished by calibrating against common sources of light such as using a traceable light lamp. Data sheets containing the spectral distribution are supplied with the absolute values indicated on them. Once the above procedure is completed and the calibrations from the spectrometer and those of the light source are compared, the device can now be used to provide the accurate measurements. At this point, the device will be referred to as the spectroradiometer and it is now capable of measuring the light accurately. It measures vibrations of the atomic bonds in a sample at varying frequencies when the sample has been exposed to an infrared source of light. It can also be used to measure the number of molecules being absorbed. It absorbs the light according to the wavelength. Molecules in the sample will move at a higher energy state once they begin absorbing the light. The movement of these molecules is proportional to the wavelength of the light. It works by creating a faster movement of the molecules. After they fall into the space created by the absorption of the energy, an X-ray spectrum will be produced. It occurs when the samples get exposed to light and the electrons begin making movements after they have absorbed the light. The characteristics of absorption will be measured based on the rate of movement of the molecules. It is mostly used to illustrate the level of chemical bonding in molecules. They do use laser light as the main source of radiation. 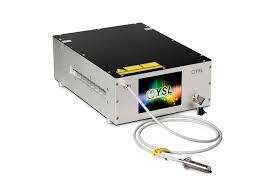 It is used to measure the interaction of the light with the molecules in the sample. It has a higher sensitivity and a higher resolution. The smartphone technology has been incorporated in the medical equipment such as eye testing machines and other commonly used devices. The devices are made up of optical parts which work with the camera of the phone to determine the light going through the sample liquid. It is later compared with the spectra obtained from the target molecules to determine the exact characteristics of the given sample. The spectrometer is an important instrument used in different industries. The working principles of the spectrometer can differ depending on the type you choose and you can now buy mini spectrometer at an affordable price.